It’s no secret there’s a diversity problem in fashion. We see it all the time in campaigns and runway shows. Over the past few years, social media has become a space where people are learning to accept their bodies and are doing away with societal standards of beauty. The body positivity movement we are witnessing is making several companies take notice and Instagram is joining in with its new initiative, #RunwayForAll. #RunwayForAll shines a light on diversity in the modeling industry and every day this week a model’s story is featured on the app’s namesake account, which boasts 162 million followers. On Monday, the first model featured was Mama Cax (@caxmee), a Haitian blogger and model who had her leg amputated at 18. “The majority of humans do not look like the mainstream idea of beauty…Through modeling I hope to show that beauty does not always wear a size zero and beauty does not always walk on two limbs,” she wrote. On Tuesday, model Shaun Ross, whom you’ve seen in a few of Beyonce‘s videos, shared his story about being a gay male model with albinism in the industry. “I remember when I first entered the industry all I saw were models that looked the same,” he wrote. He also shared some of the adversity he faced being openly gay in his first years of modeling. Other models expected to be featured on Instagram’s account this week are plus-size model, Clementine Desseaux (@bonjourclem), Black model Londone Myers (@londonemyers) and Jillian Mercado (@jilly_peppa), a model with muscular dystrophy. “Our goal is to highlight some of the bravest and most creative models on Instagram who are building their own audiences and telling their own stories,” said Kristen Joy Watts, fashion and arts community lead at Instagram to Refinery29. Many hashtags supporting body positivity and diversity in fashion have popped up over the past year. Instagram is now an important medium people use to stay-in-the-know about the fashion industry and an outlet for those who feel they don’t fit mainstream beauty standards. 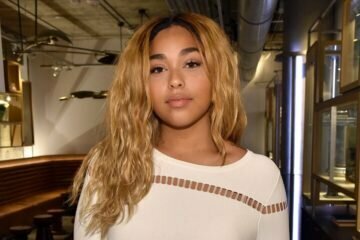 Model Jordyn Woods Is Proving She’s More Than Kylie Jenner’s Bestie With New Clothing Line! Watch JCPenney’s Ad for Their Plus-Size Line ‘Here I Am’!